Did you remember that it takes place every year, during the last weekend in July? 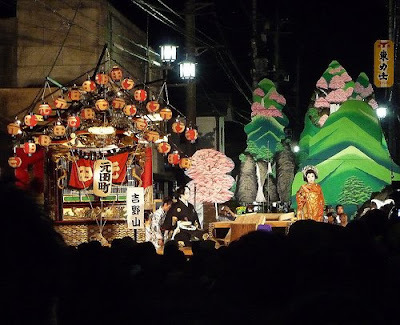 Though photos hardly do the three day, 18-performance festival justice, here are a few images from last weekend's Yama Agesai in Karasuyama, possibly this blessed land's least recognized Important Intangible Cultural Asset. Yes, it is all performed by children. 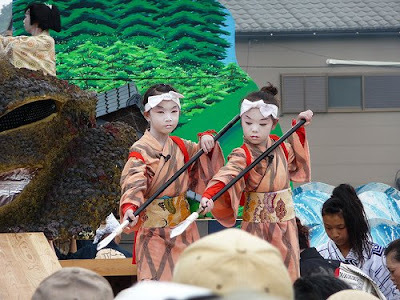 Yes, the children tend to come from only a small number of lineages living in each of the city's six traditional chō. There's a thesis in Nasu Karasuyama for a smart grad student in social history, urban planning or cultural anthropology -- perhaps many theses. On the face of it, this city literally at the end of the line has found a way to ease into senescence rather than plummet into it, by giving its young people a reason to stick around. You are the fantastically popular young mayor of a country's third largest city. You are widely credited with conjuring up an act of fiscal magic: you put the city back on a firm financial footing whilst improving the quality of service provided the residents. You are in your second term, basking in the glory of the city's celebration of the 150th anniversary of its opening to the outside world. What do you do? Nakada Hiroshi, the man with the impossible resume - seriously when the heck did the man ever sleep? -- has offered his resignation as mayor of Yokohama. Rather than serve out the last few months of his term, he is asking the city council to schedule an election for his replacement to coincide with the House of Representatives election on August 30. Holding the two elections simultaneously, he reasons, will save the city money and will guarantee a high degree of voter turnout for the mayoral election, far higher than if the election were held at the end of his term in the spring. What a civic minded fellow! I mean really, I'm flummoxed. I cannot say the least bad thing about him. Nakada is not going to run in the House of Representatives election, as some guessed he might (Why should he? He has already served three term in the Diet). Instead he is talking about plans to build an organization extending the kinds of reform he managed to enact in Yokohama to the prefectures and the national government. When an electoral shoo-in like Nakada takes a leap like this into the unknown, it is just one more indication that postwar system is on the verge of final, precipitous collapse. Persons of vision, ambition and energy are jostling for position in a new, still amorphous order, whilst members of the ancien regime spout nonsense about their conspicuous lack of achievements. Everyone but everyone is jumping in the pool, making waves, splashing about. It is going to be a fun summer. Over at Global Talk 21, Okumura Jun makes a diligent first effort to run the numbers on a House of Representatives election. Taking what he assumes to be an extreme case, a mirror image of the Koizumi Landslide, with the Democratic Party of Japan winning as many proportional seats as the Liberal Democratic Party did in 2005, he finds the DPJ's path to a majority much more arduous than many of the commentariat seem to assume. I cannot argue with Okumura-san's calculations. On the basis of the known numbers, the margin of victory could likely be a lot narrower than many are supposing. Of course the DPJ is currently enjoying much larger advantages in public opinion polls than would accompany the kind of voting patterns that would give the DPJ “only” 77 seats. If it can maintain that kind of lead on 30 August, and given the assist from the rest of the opposition, it's a safe bet that it will win an overall majority on its own. It is not just the gap in the popularity ratings of the DPJ over those of the LDP that indicate a win for the DPJ. What will have a much greater impact will be turnout. This will be true in both the proportional vote in the regional blocs and in the single member districts. Given the long time lag since the last House of Representatives election, the failure of three LDP prime ministerships in the meantime, the global economic crisis, the numerous looming and consistently mishandled demographic crises, the unfortunate timing of election (the day before the start of the new business quarter and the end of school summer vacation) and the pent-up frustration of 50 years of misrule, chances are that voter participation will be way up above the long-term trend line. In a land of machine politics victory margins are by necessity slim. Budgets are not infinite and every single vote for a machine candidate has had to have been to be paid for in some way. When voter turnout rises, votes start coming in from those in the electorate who have not been bought, meaning those who have a vested interest in toppling the intolerable, clientalist status quo rather than in perpetuating it. Furthermore, the LDP has lost the aura of leadership. It has been fighting a 30 year rearguard action against the electorate, a war of attrition with the popular will that has saddled the state with debts equivalent to those incurred by countries engaging in actual world wars. Unable to control even its own members, much less events, it is reduced to playing word games and conjuring up insulting stereotypes (Is the electorate really a beautiful woman one is trying to seduce?). The party is engaged in a desperate last minute effort to emphasize its experience, oblivious to the public's full awareness that the experience the party is promoting is on how to a brilliant and hopeful country into the ground. For all our trappings of civilization, we are apes of the African plains. We can sense when the leader can no longer lead the group, when he defends his shortcomings by gibbering about past glories and his undiminished vitality, despite his years. We sense the unforeseen instant when one has to gravitate to the new leader, no matter how unlikable or untrustworthy he may be...when it becomes clear that he is in the ascendant. It takes a supreme act of self-delusion, a mania, to cling to the past in these instances -- and most of us are savagely sensible. We are a pitiless lot when our own interests are at stake. Later - This post has been edited for greater clarity. It is 9:41 in the Immense City. Somewhere in NHK studios in Shibuya, a tv news producer is being strangled. NHK evening news just broadcast an extremely slanted segment reporting on the first public testimony of Ambassador-elect John Roos. In order to belittle the appointee, the segment described him as a "mergers & acquisitions lawyer" and "the man who is said to have collected the most checks for the Obama campaign." Of course, "he lacks knowledge about Japan." The segment then shifted to a May White House press conference, where an NHK correspondent with poor pronunciation and atrocious syntax whines out an incoherent question about the nomination of Roos to be Ambassador. White Press Secretary Robert Gibbs, struggling make head or tails of the question, asks "The nomination of who?" "Aha," the NHK report concludes -- "not even the White House Press Secretary knows who this purported friend of Barack Obama is." Ridiculous. Gibbs just could not understand the correspondent's English. 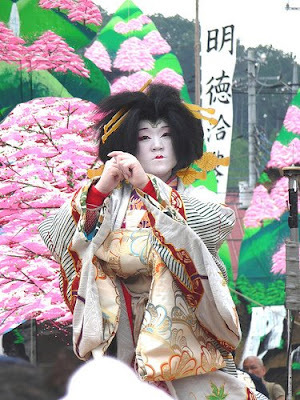 Then the "the good old days segment" began -- the images of way back when -- when men were men, women were women, geisha were geisha and Ambassadors to Japan were either Japan hands, big political wheels or both. Cue the reels of Ambassador Reischauer telling his hosts in Japanese, "My wife and I were both born in Tokyo, so for us this a coming home." Skip, inexplicably over Mike Mansfield. Go straight to "Jimmy Carter's Vice President and former Presidential candidate Ambassador Mondale", proceed to George Herbert Walker's close confidante Ambassador Baker...and stop right there. Because the historical footage of "Ambassador Baker" -- one of these instantly recognizable figures completely unlike the annonymous Roos -- was not Senator Howard Baker -- who with his spouse former Senator Nancy Kassebaum actually did reside in the Akasaka residence-- but former Secretary of the Treasury James Baker, who has never spent more than a few days in Japan. So much for "famous and recognizable" thesis behind the report...and yes, they showed James-not-Howard Baker footage not only in the middle of the report but in the wrapup. Rest easy Ambassador Roos. Your detractors have just shot themselves in the foot. Former Liberal Democratic Party Secretary-General Nakagawa Hidenao has made good on his threats and submitted a list of 133 LDP Diet members supporting an immediate general party meeting in order to discuss the replacement of party president and Prime Minister Asō Tarō with a more attractive party standard bearer. Nakagawa needed to collect the signatures of 1/3 of all party members of the Diet to force a general meeting. Since that numbers would be 128 signatures, he seems to put together the votes necessary to force a very public humiliation of Asō. If the Asō were a currency, Japan would be calling in the IMF. Later - Tobias Harris has the analysis, with a link to "The List" of the 133 malcontents, one of whom is former Minister for Internal Affairs and Communications Hatoyama Kunio. Just five weeks ago Hatoyama was Asō's Best Friend Forever, the guy who had sat next to Asō in the party general meeting that elected Asō president. Cold, cold, cold is the embrace of failure. The sitting Liberal Democratic Party directorate is hanging tough and staying united against calls to replace party president and Prime Minister Asō Tarō with someone, anyone (the short list of favorites includes Masuzoe Yōichi, Ishiba Shigeru, Koike Yuriko and Noda Seiko) with a little more credibility and/or pizazz. This is not because the members of the central directorate hold secure Diet seats, making them impervious to the despairing cries of the party list seatholders or the representatives in swing districts. Indeed, rather than stolid indifference, an almost giggling nihilism may be in effect. Asō, by calling for an election in last weekend in August, glibly tossed away the LDP's last best hope in terms of scheduling, which would have been to hold the election during the summer Obon holiday weekend when many urban dwellers and young people are not in their usual voting districts. As for chairman of the LDP General Council Sasagawa Takashi, he is frequently held up as an example of certain electoral roadkill. Why should Sasagawa care whether anyone else goes down to defeat, when he's swimming in money and guaranteed to lose his seat, no matter how he may try to keep it? If there is any rhyme or reason to what the LDP core leadership did, it is that they believe lightning will strike twice -- that the Tokyo Public Prosecutors Office will carry out arrests of members of Democratic Party of Japan leader Hatoyama Yukio's staff as a result of the investigation into irregularities in the accounts of his political organizations. Another "what, another arrest?" moment would lead to a collapse of the current general level of grudging acceptance of the DPJ as the presumptive majority party in the Diet, allowing the ruling LDP-Komeito coalition to eke out yet one more victory. The LDP directorate may not be entirely daft in hanging their hats on this proposition. Top prosecutors are facing career Armageddon should the DPJ or a DPJ-led coalition take power. Approving the arrest of the political secretary of former DPJ leader Ozawa Ichirō, an act that forced Ozawa to resign as party leader, without having balancing arrest of an LDP functionary soon afterward to prove their impartiality, will be neither forgiven nor forgotten. Should the DPJ take over the government those who harassed Ozawa will likely have an unpleasant autumn, both in 2009 and in their careers. Will the prosecutors pull the trigger? Will the media go along with a program of destruction of Hatoyama's image, if the allegations are not backed up with arrests? T'is a long shot...but not entirely improbable. ...but he has most certainly decided to do it. The proposed date of the election is August 30, meaning that the candidates will be out on the streets campaigning at the absolutely worst possible time of year to be out under the unforgiving, empty sky trying to make contact with the electorate -- if the voters are even in their voting districts during the first three weeks of August at all. The voters will be furious and vengeful. Damnation Francisco! It is as though you were setting up your party for a fall out -- of spite. Liberal Democratic Party Deputy Secretary-General and Chairman of the Tokyo LDP Alliance Ishihara Nobuteru, the son of Tokyo Governor Ishihara Shintarō, reacting to last nights result from the Tokyo Metropolitan District elections. Later - Make that "the former Chairman" of the Tokyo LDP Alliance. He has resigned. The Tokyo Metropolitan Elections Results! It is getting on toward 4 a.m. in the great city. Most of the city sleeps, I hope. While not a total wipeout, the results yesterday were bad for the Liberal Democratic Party, bad for the Prime Minister and bad for Governor Ishihara Shintarō. The final totals, in the 127 seat assembly. The LDP-Kōmeitō alliance failed to retain its majority in the chamber, falling 3 seats short of the 64 necessary. The Kōmeitō fielded 23 candidates. Every single blanking one of them won a seat. The LDP fielded 58 candidates. Twenty of them lost. On the happy faces side of the aisle, the DPJ fielded 58 candidates...and only 4 of them failed to win office. The Communists, who have been trumpeted in some quarters as a resurgent force due to unhappiness with the current economic order, got lightly toasted instead. Ambitiously fielding 40 candidates, one more candidate than in the last election, they crashed from 13 seats to a mere 8. How atypical is the victory by the DPJ? The last time the LDP failed to end the night as the #1 party in the assembly was 44 years ago. 1) the New Tokyo Bank (they call it a bank but it was really more of a fireplace into which was thrown local tax revenues in an attempt to keep zombie companies warm). 2) the move of the Tokyo Wholesale Fish Market from Tsukiji to Toyosū. 3) just how much the Ishihara's pursuit of his Olympic dream has cost the city so far ... and how much it will cost it in the future. Just a note - it is probably no longer appropriate to call the DPJ "the opposition" anymore. With tonight's thumping victory, albeit in the Tokyo elections, the DPJ is perhaps better described as "the presumptive majority party." I was trying to think what the LDP should be called in this instance. "The presumptive opposition" is too feeble. "The tottering, decrepit ancien régime soon to be consumed in the fires of revolution" sounds about right. Adam Richards over at Mutant Frog Travelogue has been doing a lot of heavy lifting of late, trying to make some sense of this Sunday's Tokyo Metropolitan District assembly elections. His overview of the election is a nice piece of work, even if he overstates his points at the end. However, as I saw the local Liberal Democratic Party candidate ride by yesterday in the front seat of his loudspeaker-bedecked election van, his face a rictus of sickened determination, with nary a wave nor a glance sidewards, I had to wonder why the candidates of any party other than Democratic Party of Japan are even bothering, at least in the core 23 wards and inner ring of cities. NO, NO, NO. They have to go. 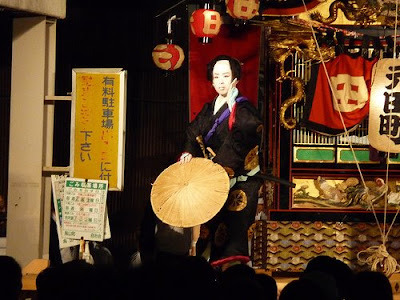 2) The Komeitō lady and the Komeitō Man? No and No. Not because they don't look nice -- it is just that they are, well you know, those people. Holy moley, how many of them ARE there? Anyway, way too flashy. What do they think they doing, trying out for careers as business casual fashion models? 4) The Japan Communist Party Lady? Fine, we DO need more day care centers. But I don't know anyone else who would vote for her, so why waste my vote? 5) The Tokyo Life Network candidate? Hmmm...they're a food coop, right? No, I am NOT going to give my vote to a person running as a P.R. stunt. and suddenly, there's no one left. And in the flood of resentment for the LDP's self-interested misrule of the last 40 years, and in order to put some check on Tokyo Governor Ishihara Shintarō's titanic ego, the voters will, with annoyance, commit to memory the names of the DPJ candidates. First time customers please start with the '5 times' as hot option"
The politicians, bureaucrats and business elites spew out vast quantities of nonsensical verbiage, confident that the citizens of this blessed land can be fooled by words. Our betters should be more careful. The citizens are not fools. They know very well that what is said cannot be accepted at face value; that words are pliable and even false; and that meaning must be teased from out of language. With the Tokyo municipal elections coming up on Sunday, it is perhaps worthwhile to take a look at what Tokyo is. First of all, it is a prefecture, not a city. Calling what will happen on Sunday municipal elections is accurate in so far as most of the population lives in what we in our imagination think is a city and its suburbs. The largest part of the main body of the Tokyo Metropolitan District is paved-over and built-over former alluvial basins and low uplands. However, the TMD has a long tail reaching 60 kilometers into the interior, into the spine of mountains at the center of the country, where settlement huddles along streambeds at the base of deep valleys cloaked in plantations of evergreens. The tallest mountain in the TMD, Kumotoriyama, is a none-too-shabby 2017 meters high, and it is surrounded by places where you really can get lost or attacked by bears. The TMD government also administers the nearby Izu and the very distant Ogasawaras volcanic islands, 1000 kilometers to the south (Tokyo's remit indeed extends all the way to the uninhabited rock fragments of Okinotorishima, which the government of Japan has spent an extraordinary amount of money protecting). Here the main supports of the economy are, as in most of Japan's island communities, local government, domestic tourism and fishing. Whilst geographically silly, having the islands in the TMD is eminently sensible in economic and transportation terms. These tiny communities, rather than being cut off and scrambling, are sheltered inside the prefecture most able to support them. Second, the TMD would make pretty good country, if independent. With its 12,688,000 inhabitants (10,000,000 of whom are eligible to vote on Sunday) it would be the 67th largest country by population, in between Mali and in Zimbabwe. By GDP, on an exchange rate basis, it would rank among the world’s top 25 economies, on a par with Belgium, Switzerland and Sweden. In terms of headquarters of Fortune Global 500 companies, it would rank second, behind only the United States. Multiple choice quiz, on a serious subject. In which country are you most at risk of being intentionally killed, in a given year? The answer is, of course, a) Japan. You are 38% more likely to be killed in Japan as in the United States. You are three times more likely to die a violent death at a human hand in Japan than in Italy or the United Kingdom. The rate of intentional killings in Japan is one and half times the rate in drug-war wracked Mexico. We have public service announcements posted on our keijiban, warning of masked attackers lurking in dark alleyways and lanes. However, by far the most dangerous person any of us will ever meet is the one staring back at us in the mirror. - A post for The Lawyer, who opened up a little used email account last week and found a message that a good friend had taken her life. Your guesses please on the identity of the below interview subject from this brief exchange at the end of a splashy interview featured in this morning's Nihon Keizai Shimbun, the nation's voice of big business and government. NKS - "How should the DPRK nuclear problem be viewed?" International Bearded Man of Mystery -"What America fears is that North Korea's Kim regime crumbles and the nuclear weapons pass on to international terrrorist organizations, the first of which would be Al-Qaeda. While a wish to conserve the current political structure serves as a deterrent upon the Kim regime, it will not serve as a deterrent upon the suicide bombers of Al-Qaeda. In this case the place where these weapons most likely will be used will probably not be Tokyo or Seoul but New York, Washington or Jerusalem. That is the reason why America puts so much emphasis on counter-proliferation." The reason America looks at the DPRK nuclear weapons program as a problem is that should the regime collapse Sunni Muslims, most of whom hale from Yemeni stock, might somehow purchase or spirit out a DPRK plutonium weapon, transport it casual-like across the world's largest landmass (or were you suggesting the Sinp'o-to-the-Gulf sea route?) in order to carry out a nuclear attack on the holiest sites of Christendom, Judeism and Islam. Really? That is what "America" worries about? For the last eight years the speaker was Japan's man in the White House and Washington - the One who could explain to Japan What The Americans (not any I know of course) Really Think. Simultaneously and improbably (America is a nation of 300 million citizens, after all. One would think the two jobs could be split amongst two persons) he was the go-to guy for Washington and English-language press on What The Japanese Are Really Thinking. Oh please, TBS, I beg you, no. Oh well, it is too late now, I guess. "Otokotachi ga oimotometa no wa nihonjin no hokori o torimodosu koto"
"The quest for the men: for Japanese to recover a feeling of pride." Set in the 1950s, the drama explores the conflicts and defeats and victories of elite career bureaucrats (kanryō) inside the Ministry of International Trade and Industry (MITI) as they seek to lead a revival of Japan's industrial prowess. In the right hands, and if the script stayed faithful to what actually happened -- the good, the bad and the dumb -- the drama might be fascinating. Yet for some odd reason, I fear that the drama will forego portraying the subtle yet vicious power plays and gross tedium of the lives of these men (and they were all men back then) in favor of a lot of set pieces of preternaturally handsome, unsweaty men shouting out soliloquies in strangely lit interiors. Back in the world of today, life could not be less appealing for the elite corps of the central government bureaucracy. In a Tokyo Shimbun opinion poll published last month, members of the public were asked to offer their opinion on "How much do you trust_____?" with various types of persons inserted in the blank. When the word in the blank space was "politicians" 76% of the respondents answered either "Not Much" or "Not At All." 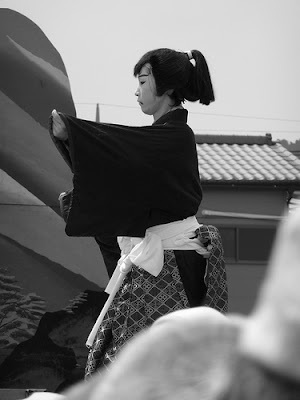 When the word was kanryō, the percentage of those saying that they trust them either "Not Much" or "Not At All" was 78%. Yesterday, the Supreme Court confirmed former Ministry of Foreign Affairs bureaucrat Satō Masaru's 2003 breach of trust conviction for his under-the-table funding of projects in the Russian-controlled Northern Territories together with disgraced Diet member Suzuki Muneo. Satō argued he cannot be convicted of conducting clandestine activities in support of Japan's foreign policy goals if clandestine activities were part of his remit (Satō was a senior analyst in the Intelligence and Analysis Bureau of the Ministry of Foreign Affairs at the time). The Supreme Court yesterday told him he can...and has been. I guess if you want to make an impact, show that you are opening up the Cabinet, making it seem less opaque and more relevant, you should announce after days of excrutiating public disdain the appointment of two minor figures possessing exactly the same last name †. "Yes, here they are, your new ministers, Mr. Hayashi and Mr. Hayashi. Mr. Hayashi will be in charge of the economy and fiscal policy while Mr. Hayashi here will be in charge of the National Public Safety Commission. Mr. Hayashi, as you well know, is a graduate from the Harvard School of Public Policy and the former minister of defense, while Mr. Hayashi is reprising his previous post of Director-General of the NPSC." Yes *sigh* they are also both legacy politicians. Both of their fathers served in the Diet and the Cabinet: Hayashi's father as Minister of Finance and Hayashi's father as the Director-General of the Environment Agency. Oh, and the Prime Minister gave up on trying to dump any of his top four lieutenants in the Liberal Democratic Party (the so-called yonyaku) meaning he punted on what was his last chance to dump what have been the least helpful of his allies. † Hayashi, which means "forest." ...is vainly lash out in all directions when faced with the prospect of losing power. Last Friday, Elections Countermeasures Chairman Koga Makoto made a pilgrimage to Miyazaki Prefecture to beg popular governor and former manzai comedian Higashikokubaru Hideo to stand as a Liberal Democratic Party candidate in the upcoming House of Representatives election (a similar offer was made to Osaka celebrity governor Hashimoto Toru as well). Higashikokubaru gave the offer -- a chance to trade in his secure governorship for a powerless frontbencher seat (the order of importance being reversed in the Diet) -- all the respect it deserved. Sure, he agreed, he would run as an LDP candidate, on the condition that he would be promoted as a future president of the LDP. Koga was stunned at the audacious counteroffer and did not pursue the matter further. By contrast the media, particularly the lower orders of the television kingdom, took the story and ran with it. 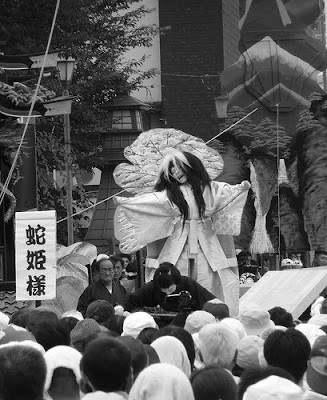 All weekend long (a rainy weekend, meaning lots of folks were stuck at home watching the TV set) the public was treated to a veritable festival of Higashikokubaru, who seemingly had nothing else to do himself but appear in live video feeds from Miyazaki City. That Higashikokubaru might consider the offer of a party list seat candidature worthy of mockery and close to an insult, seemingly never crossed Koga's mind. Now today we have the papers predicting a reshuffling of the Cabinet . Ostensibly, the PM wants to parcel out the positions that have, due to resignations, been given to sitting members of the cabinet, leading to cabinet members with unmanageable multiple responsibilities. In truth, the proposed reshuffle is a vain attempt to create a positive -- and by positive I mean "not extremely negative" -- buzz about the ruling coalition as part of a rollup campaign for a Diet dissolution and House of Representatives election. Yes, I agree, this plan makes no sense. How is the image of the government improved by the appointment of a whole new bunch of LDP members to the cabinet at a time the people are absolutely sick to death with the LDP? How does appointing a group of ministers who will be in office for only three months at most dispel the public's perception that the prime minister and his party are a bunch of unserious policy lightweights? How does an act that keeps the PM, who is is as popular as a hangnail, in office a little longer help his fellow party members facing a tough election fight? 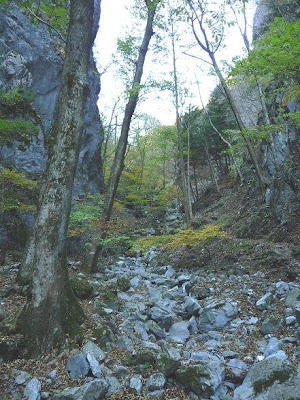 It is a mark of the intellectual rot in the little village of Nagata-chō that Koga and the PM actually believe that the public views them as serious individuals offering interesting proposals, rather than as pathetic buffoons.